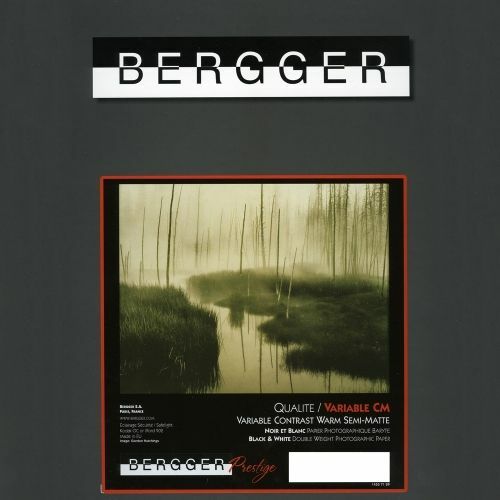 BERGGER VARIABLE CM is a polycontrast baryta paper with warm tones. It belongs to the family of chlorobromide papers, therefore, DMax is very high. Available with a semi-matt surface.